Discovering mint errors can be a rewarding endeavor. 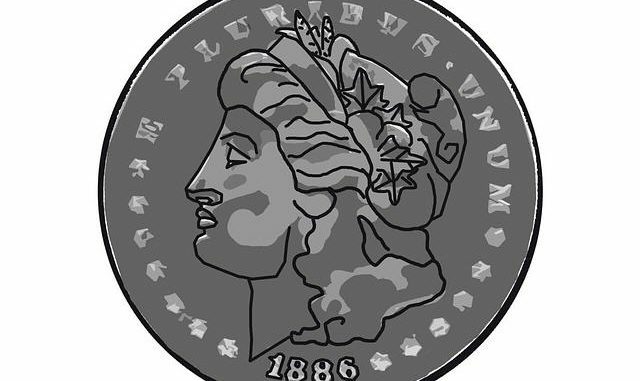 Mint errors add to the rarity of a silver dollar coin and help your understanding of the minting process in general. This is also an overview of mint errors, since the topic can be really involved. All mint errors are quite rare, because of the quality control during all the coining processes. The most common planchet error, but still rare is the “clipped” planchet. This happens when the planchet strip fails to advance properly and the next planchet overlaps the preceding one. This forms a planchet that looks like it has a piece clipped out of it. Die errors are often called varieties among experts in the field. There are more areas for mistakes in the formation of the coining die, than anywhere else in the production of a finished silver dollar. All dies are annealed (heated) twice during their production process. If this annealing process isn’t carried out exactly right, the dies will be substandard. 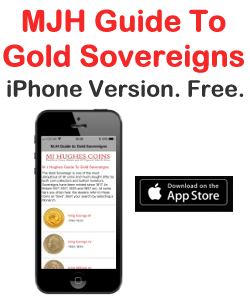 They will either break early or show the effects of the improper annealing with wavy areas in the coin. Die clashing happens when the top and bottom dies strike each other because of no planchet being in the striking chamber. Each die transfers parts of its design to the other die. Therefore, all coins struck with these dies will exhibit the clash marks. The most common die error is the “double die” error. Double dies errors are produced in two ways. First is when there’s a shift during the hubbing process of making the die. The second is when there is an entirely different hub used for the second die striking with the hub and the hubs aren’t exactly the same. All dies need to be struck twice to fully transfer the impression to the die. The die is annealed before each impression with the hub, so it doesn’t get brittle. If the hubs are registered perfectly for the second hubbing, they impart a clean sharp image to the die. If the second hubbing isn’t perfectly aligned, the design will appear slightly off from the first and look doubled. This is known as a doubled die error. The next most common die error isn’t really an error so much as an act of economy by the mint. They often repunched mint marks when sending dies to another mint for use. The Philadelphia Mint would punch a second mintmark over an existing mintmark and reuse the die. The mint also did this with dates. They would punch a new date number over an old one to change a date without changing the die. These are the only intentional “errors” made by the mint. Die cracks or breaks happen from overuse of the die. The planchet material forced into the crack or break shows up on the coin surface. If a piece of the die falls out, the coin will have a “blob” of extra metal filling the area where the die broke away. This is sometimes referred to as a “cud”. Striking errors are quite rare. Some examples are planchets not seated in the striking chamber perfectly, so part of the design appears to be missing. Double strikes that are unintentional happen when the coin isn’t removed after the first strike. There are also several types of striking errors that occur when the bottom die gets stuck while rising to pop the coin out of the press. These include broad strikes, partial collar strikes and indent strikes. The last striking type error is during instances where grease, wood fibers, fragments, chips or slivers get in the striking path and become part of the finished coin. Collecting error or variety coins becomes its own specialty, similar to collecting toned coins. A great deal of study is required to properly identify mint errors from doctoring. Leroy C. Van Allen and A. George Mallis pioneered the field of Morgan and Peace silver dollar varieties. Van Allen and Mallis assigned numbers to the deviations they observed in their study for silver dollar varieties. VAM is the popular designation for deviations from the standards. 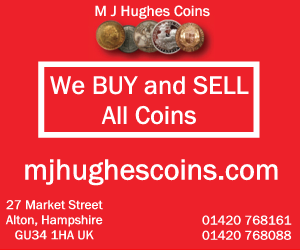 To discover more about coins: collecting issues, money management, investing in the rare and bullion coin market, and much more, I invite you to visit heritagecoingallery.com for videos and free tips on buying coins at the best prices. Rare £2 Coin Mint Error. 2007 abolition of slavery. £2 Coin Act of Union.....Very Rare Mint Error. Rare ? £2 Pound Coin mint error 1807 Abolition of Slavery 2007.Uk postage Only.